The Dassault Falcon 2000 features a large in-flight accessible baggage area, a full service galley, and nine large circle windows on both sides of the cabin, allowing for panoramic views and a naturally-lit interior. Its notably wide body provides for ease of stretching or walking, and its range accommodates for non-stop flights anywhere in the continental U.S. 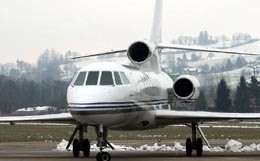 Following the immense success of the three engine intercontinental Falcon 900 line, Dassault Aviation announced the development of a shorter-range wide body jet to replace the Falcon 20/200 line. 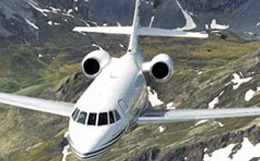 Developed from the Falcon 900, the Falcon 2000 features a shorter version of the wide body design and uses two engines. This private jet is the first to have been developed completely digitally through the use of Computer Aided Three-dimensional Interactive Application (CATIA) software, which both simplified the aircraft’s systems while improving aerodynamic structure. The Falcon 2000 first flew in March of 1993 and received FAA certification in February 1995 with production beginning soon after. Production on the Falcon 2000 started in 1995 and ended in 2006. 229 aircraft have been built so far. 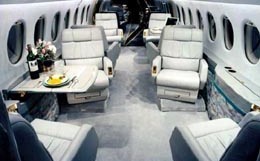 The Falcon 2000 is usually configured to accommodate eight to twelve passengers, but the cabin can be rearranged to seat as many as nineteen. Similar to the Falcon 900 family, this private business jet features a wide cabin design, with enough room to seat three abreast with an aisle. The cabin is usually divided into a forward and rear lounge areas, featuring club seating in each area. The cabin is expansive and roomy, with a volume that exceeds 1,000 cubic feet and 134 cubic feet of designated baggage capacity, which can accommodate 1,587 pounds of luggage and can be accessed while in flight. The cabin of the Falcon 2000 measures 26.3 feet in length, stretches 7.7 feet in width, and reaches 6.1 feet in height. With a cabin maximum differential pressure of 9.3 psi, the Dassault Falcon 2000 is capable of maintaining a sea level cabin altitude at an altitude of 25,3000 feet. 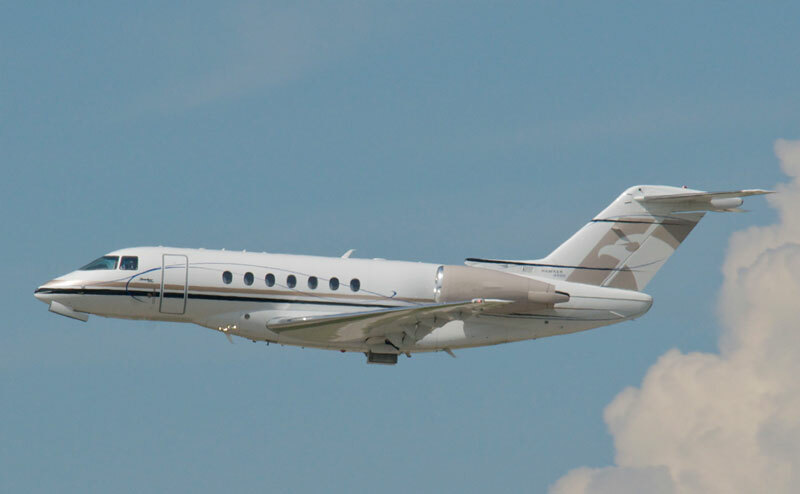 The Falcon 2000 comes equipped with two CFE738-1-1B axial centrifugal flow turbofan engines. Each engine is rated at 5,918 pounds of thrust with an inspection interval of 6,000 hours. These engines are controlled by dual FADECs with engine parameter displayed on three LCD EIECs. Even with these advanced engines, the fuel consumption rate of the Falcon 2000 is only 283 gallons per hour, making this private business jet an economical choice. For a flight to a further destination, this private business jet is capable of maintaining 417 knots at an altitude of 43,000 feet. In a high-speed cruise configuration, the Falcon 2000 is capable of maintaining 479 knots at an altitude of 39,000 feet, still well above most aviation traffic. The Dassault Falcon 2000 is capable of getting you to even far-reaching destinations, with an impressive transcontinental range of 3,450 nautical miles. The Dassault Aviation Corporation selected the Collins Pro Line 4 avionics suite for the Falcon 2000. This avionics suite utilizes four 7.25 by 7.25 inch liquid crystal display screens. Designed to be as functional as possible, systems are grouped by function with the display screens close to the functions they control. Some of the avionics systems incorporated into this suite include a Collins TWR-850 Doppler weather radar, an Allied Signal GNS-XES Flight Management System (FMS), and a dual channel Integrated Avionics Processor System (IAPS). For more information about chartering, leasing or buying a Falcon 2000 please contact us by calling +44-20-3874-8091 or send us an email here.